4 pair of pistols lost attempting to bard the ship L’Orient in February 1782. 1 drum destroyed by Drummer, same time. 1 fife, lost by Fifer at same time. 7 cutlasses lost at same time. During the period from 1783 (when the last fighting ship of the American Revolution was sold) until 1797, our country was without a navy or Marine Corps. During the 1790’s American merchant shipping began to be harassed by France and countries in the Middle East. 27 March 1794, Congress commissioned for six frigates to be constructed in order to safeguard American shipping interests and merchant trade using the high seas. Among these six ships was USS Constitution. Along with the construction of these new ships Congress acted to reestablish the United States Navy and then the United States Marine Corps, both as we know them today. Not until the Naval Act of 1794, for the Betterment of the Service, did the “United States” Navy appear again with the “United States” Marine Corps. This congressional action was the first establishment of the now United States military as opposed to the old Continental military. April 1796 Congress cuts the above order in half and authorizes only three ships. 10 May 1797 USS United States launched (Navy official). Ship in service for 62 years. Lost at Norfolk, 1861. 1 July 1797 President Adams authorizes Marines on ships. 21 October 1797 USS Constitution launched (Navy official). Still commissioned. 3 April 1798 Navy Department enacted. 11 July 1798 The United States Marines are officially established by an act of Congress. They had been organized however, about one year before under the Navy at sea and the Army on land. 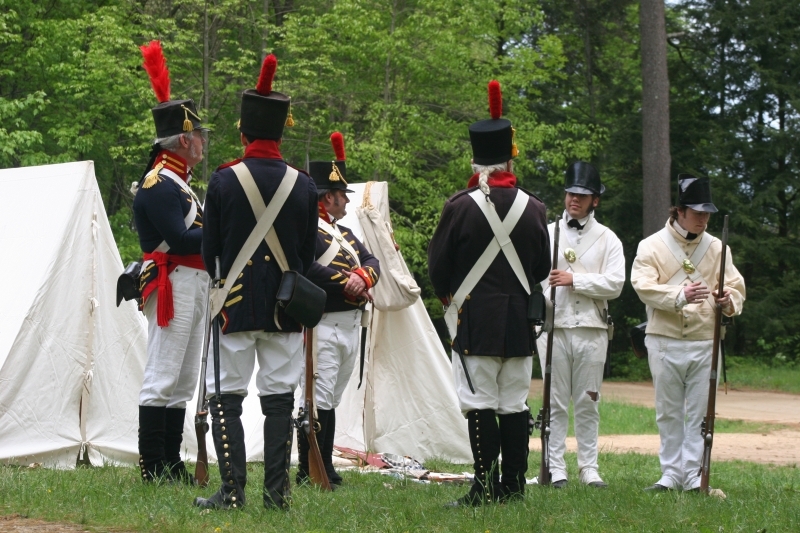 In 1798, Officers and some enlisted men had to decide whether to stay with the Marines or return to the Army. Some Officers returned. 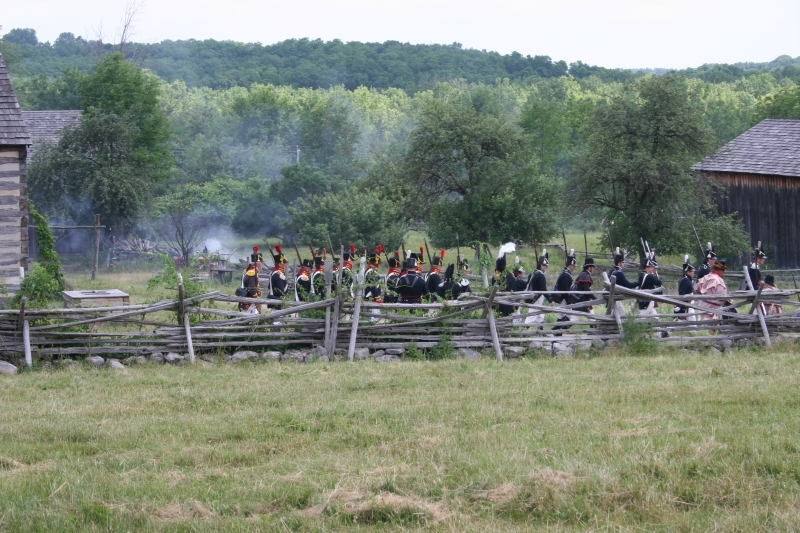 After the War of 1812, more Officers transferred to the Army. November 1798 Marine Band established. One Drum Major, one Fife Major, 32 drums and fifes. 9 July 1799 USS Constitution stands ready to depart Boston with new commanding officer and new Marine CO and XO. USS Constitution, as part of its 450-man crew, had 55 United States Marines assigned. The first detachment of six marines arrived at Edmond Hart’s Shipyard in Boston early in 1794. Their duties were to safeguard the government stores of supplies and the work area for the building of USS Constitution as well as other duties as necessary. When USS Constitution was launched the guard detachment became part of “ships company” and put to sea. The organization of the Marine Corps in 1812, like today, was commanded by the Commandant of the Marine Corps. In this period the Commandant was to have the rank of Lieutenant Colonel and also like today was stationed in Marine Barracks, Washington and under the direct command of the Secretary of the Navy. Public law allowed the Commandant to have a staff that consisted of an adjutant, a Paymaster and a Quartermaster. These were usually captains or senior lieutenants stationed in Washington. There was also a Quartermaster Sergeant, a Fife Major and Drum Major to lead the, even then famous and much utilized, Marine Corps Band. 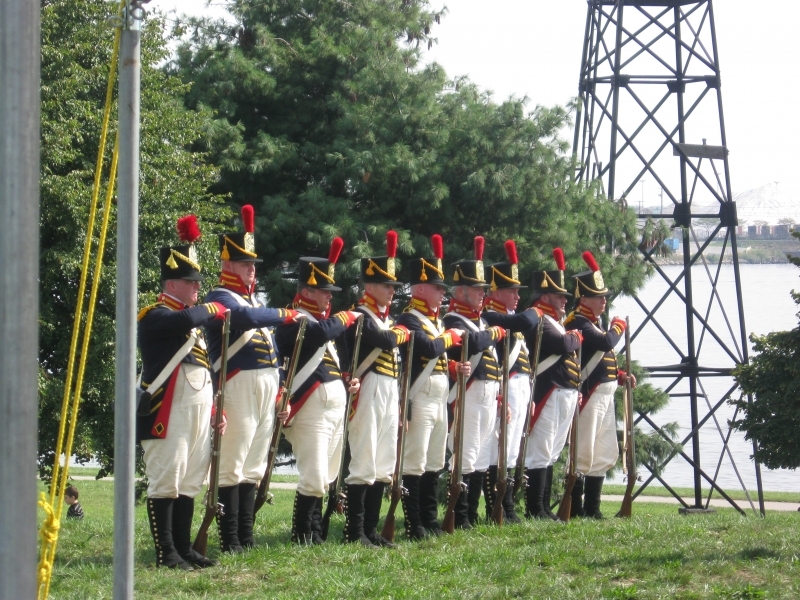 When war was declared on June 18, 1812 the Marine Corps was significantly undermanned. Public law called for nearly 2,000 Marines. A complete accounting sent to the Secretary of the Navy in September of 1812 would show that there were roughly 1,200 Marines on the muster rolls of the various stations and ships. It is probable that about that many were active in June of that year. The stations consisted of the major navy yards at Boston, New York, Philadelphia, Washington D.C., Norfolk and New Orleans. There were secondary stations at Baltimore and Charleston S. C. as well as a Sergeant’s guard of twelve men on board the US Brig Oneida on Lake Ontario. There was also a company sized detachment of Marines stationed on Cumberland Island of the southern coast of Georgia. Marines were also on board the sixteen sea going ships of the United States Navy, her various gunboat flotillas and had a small presence on Lake Ontario.. The gunboats were one or two gun vessels that were cramped, often un-seaworthy and usually stationed in harbors for coastal protection. These would carry a corporal and three privates. The active ships ranged from twelve-gun sloops of war to the forty-four gun frigates. The size of the guards on board the ships ranged from eight to twelve men on the sloops of war to as many as sixty men on board the large frigates, but due to lack of manpower the guards were often under strength. To remedy this, in the months leading up to the war, the Secretary of the Navy had the Marines serving on board the gunboat squadrons in the port cities removed to fill out the larger vessels’ guards. The Marine Corps, at this time, was at a serious disadvantage when it came to recruitment. The U.S. Army offered recruits eight dollars a month, a land grant of 180 acres and terms of enlistment of three, two or even one year. On top of this, when the war began, the Army was authorized to give enlistment bonuses and advanced pay. The Marine Corps was only allowed to offer five year terms of enlistment, six dollars a month and no land grant (see pay scale below). To counter the land grant the Navy Department stressed the opportunity of prize money from capturing ships. However this was not automatic like land grants. Marines were not guaranteed service aboard a vessel and if they did get aboard a vessel the hazards of taking an enemy ship, or even the inherent dangers of sea going life made the prospect far less appealing. Acknowledging the disadvantage the Marine Corps faced at the beginning of the war a law was passed that allowed recruits to receive a twenty dollar advance in pay: ten upon enlistment and ten once they were mustered at a station or aboard a ship. Of course this was only a pay advance so it was not an “extra” incentive to join. So without any enticements it was little surprise the Marine Corps could not fill its rolls. 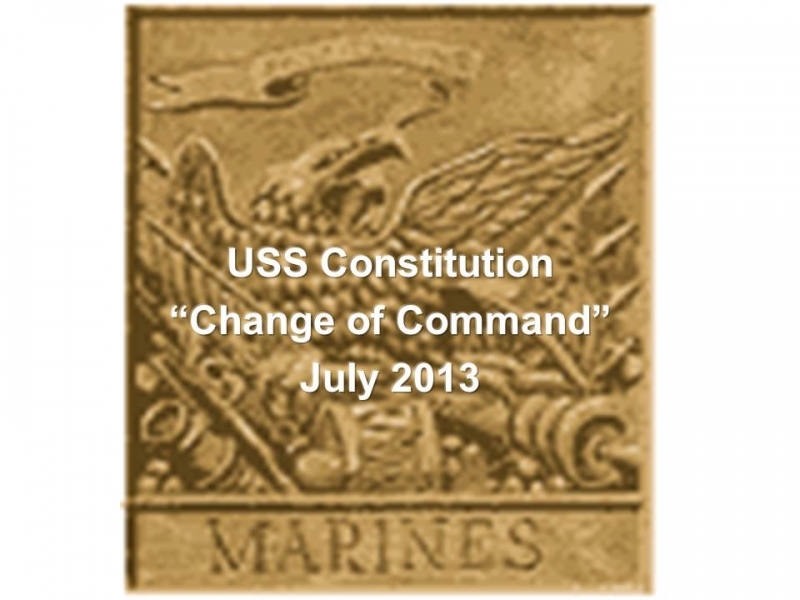 Officers on the staff of the Commandant were allowed $20 more a month. The physical standards for the Marine in the War of 1812 period are far less demanding than USMC standards of later periods. 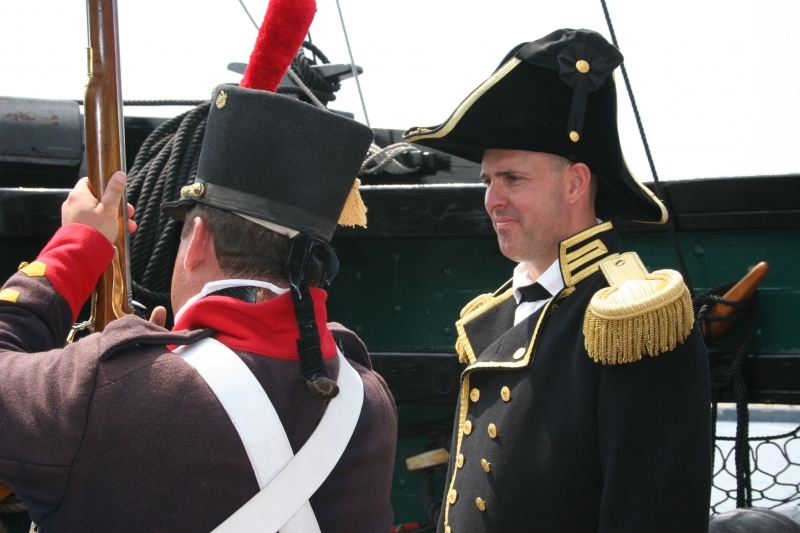 This reflects the primary role of the 1812-era Marine Corps as static guards at Naval Yards and aboard ship. Period Marine Corps correspondence lists requirements for enlistment include being free of “scalded head” (a highly contagious skin disease similar to athletes foot), no weak limbs and “able to perform the duties of a soldier/Marine.” Yet it can be gathered from those same Marine Corps correspondences of what was expected and, more particularly, who was actually accepted. It seems that the physical requirements were the basic facilities needed to function in the “paper cartridge” era. The Commandant set the qualifications of the recruits. Records show that the commandant sent varying requirements throughout the war which, of course, got less and less stringent as the needs grew. Taking the extremes of his requirements in the years 1812-1815 the range in height was 5’2” to 6’4”. The age range was eighteen to forty-five years old. The recruits had to pass a surgeon’s exam that checked to see if a man was capable of “performing the duties of a soldier” and that he did not have any communicable diseases or conditions. The recruit was also required to be of sound mind and have a working knowledge of the English. Those requirements were the ideal that the Commandant wanted but that is not always what he received. The Marine Corps in 1812 was so undermanned and so over-stretched that, as the clouds of war began to loom on the horizon, standards were, shall we say, overlooked in many cases. 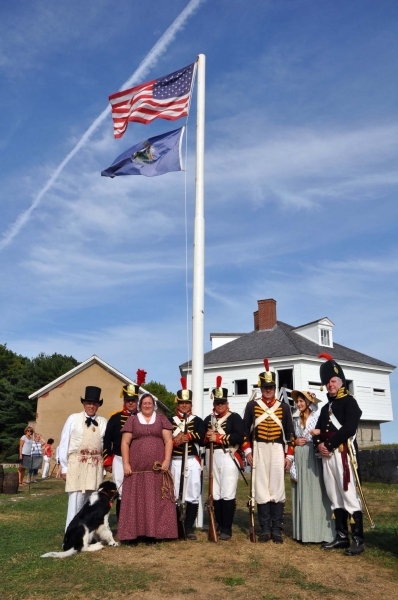 As an example of who was being accepted into the Marine Corps in 1812 a letter from an officer on recruiting duty to the Commandant proclaims that his recruits were between fifty and sixty years old and unfit for duty. BUT he was “obliged” to take them. That in itself says a lot even before you consider that the average life span of a working class man in 1812 probably did not exceed far beyond sixty! So comparatively, a sixty year old working class man in 1812 is probably close to a modern day American male in his eighties. Correspondences show that some recruits were not only elderly but suffering from diseases of the old; many were suffering from rheumatism. Two of the most extreme cases documented were those of “old Branigan” and “old Mahoney”. Both these men were of advanced age. “Old Branigan” was taken out of the ranks by Capt. Williams in Florida and put on board a gunboat because Williams believed any other duty would kill the man. “Old Mahoney’s” term of enlistment had expired in Boston in late 1812 yet his commanding officer dare not let him leave as he believed the “old fella” would never make it home alive. Records also show that men were often dismissed because of “old age.” Of course the fifty to sixty year olds were not the norm but it is evident that they were welcomed. The norm, based on a statistical study of Marines in 1812 showed the average Marine to be about 26 years old. No matter what the physical state called for and/or accepted the one, non-negotiable requirement was the ability to understand and speak English. Time after time the records show the dismissal of men for the inability to understand English. Enlistment papers show occupations such as planter, laborer, cobbler, tailor and, often, soldier. Most Marines appear to be native born but many of them were immigrants; many Irish, but also Scottish, English, German and Spanish as well. There were also Italians that were a core group of the Marine Corps band. 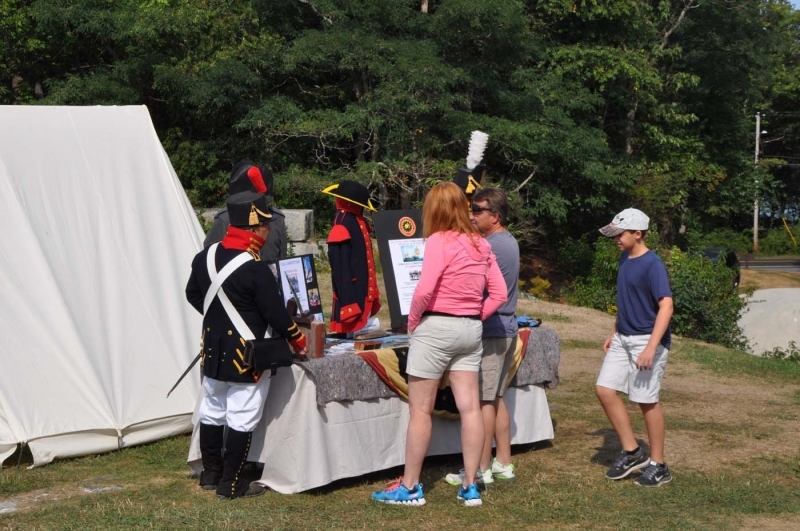 They had been recruited, with their families, in 1804 by Captain John Hall while on duty in the Mediterranean. Some returned to Italy in 1807, but many remained in the Marine Corps and the United States the rest of their lives. The Marine recruit would receive his training at the barracks or on board the ship he was first assigned to. It was also a practice to have all men from ships guards, when the ship was in port, to land in and train with the local Marines of the station at which they landed. They would learn to stand, march, load and fire correctly as well as the duties discipline and customs they would need to perform. The officers of the Marine Corps, like the Commandant himself, were men from respected, wealthy families that could use their political influence to obtain a commission for their sons. There is a question about why a young man of the period would choose the Marine Corps as opposed to the Army or Navy since the prospect of advancement in rank and pay was minimal in comparison seeing that the highest ranking officer was a Lieutenant Colonel. Also, the Marine Corps was not regarded too highly by the public or even the government officials. So it is a mystery why young men from such influential families choose the Corps. It may be the fact that the Marines gave them an opportunity to see the world as opposed to being in the Army and seeing the outposts of American civilization in the woods and fields of young nation‘s frontier borders. Once in the officer corps of the Marine Corps it seems that these men became very close and cordial. They were a small band that, due to the nature of the service, interacted with a great proportion of the entire number. This friendliness is often found in their official letters to one another that, unlike most professional correspondence of the time, ended with testimonials of affection, comedic statements and concerns and wishes for each others’ family and friends. The officers, once accepting their commission would be ordered to report to Marine Barracks Washington for their training. 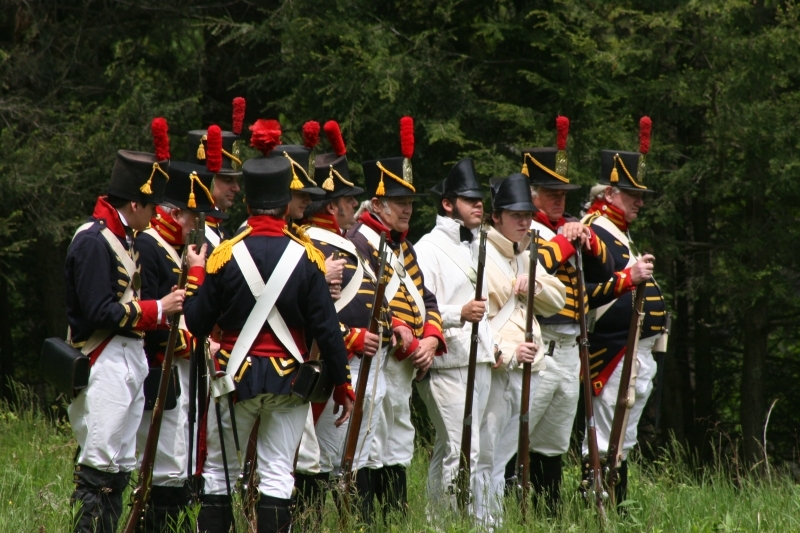 Entering the War of 1812 the United States Marine Corps was a charged with the very traditional duties of a Marine. They would act as the guards of Navy Department property; navy yards and all materiel within their boundaries. Stationed in barracks either inside the boundaries of the yard or somewhere near by the Marines guarded the entrances into the yard, ammunition magazines, stores of timber, rope and other important stores needed for the construction and upkeep of the fledgling navy’s vessels . In Washington D.C. the Marines were also assigned the duty of maintaining, operating and guarding the government magazine and arsenal. Everyday duties aboard vessels included sentry duty outside of the Captain’s and officers’ cabins, on the spar deck, forward and aft, larboard and starboard to keep lookout for any approaching boats or vessels and to make sure no boats left the ship without orders from the officers commanding. Marines were also to guard the “spirits room” for the most obvious of reasons and at the galley to ensure order at meal time and also to enforce the statutes against fires after the cooking of the officers’ meal. They were also the primary force for halting desertions and, of course, the deterrence against mutiny. To alleviate some concerns that arose in the earliest years of the Corps there were regulations that forbid Marines from being ordered to go aloft to work in the rigging as well as most other duties that were considered those of a sailor. In times of battle on board ships Marines would be mustered on the main deck. From there pre-determined teams of Marines would be sent aloft to the tops to provide suppressing fire upon the enemy’s decks. The size of the top, obviously dictated the size of the team. Aboard the large frigates the teams would range in size from twelve in the maintop, seven in the foretop to five in the mizzen top. 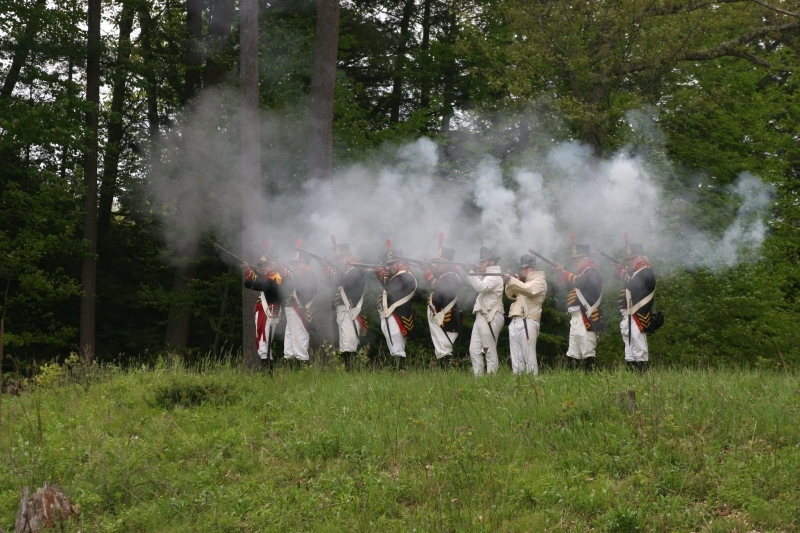 These teams worked by choosing the best marksman or marksmen to fire while the rest reloaded and handed forward loaded muskets to the shooter. Targets, in order of importance were officers, helmsman, ships’ boys, gunners and opposing marines and sailors aloft in the rigging. Of course, in the heat of battle, firefights between the opposing Marines were not uncommon. Those Marines not assigned to the tops would form into lines of battle along the rails, like those formed during land battles and pour volley fire onto the decks of the enemy ship or into the opened gun ports in an effort to cut down the gun crews. In the case that the opposing ships should come together the Marines would act as a repelling force. 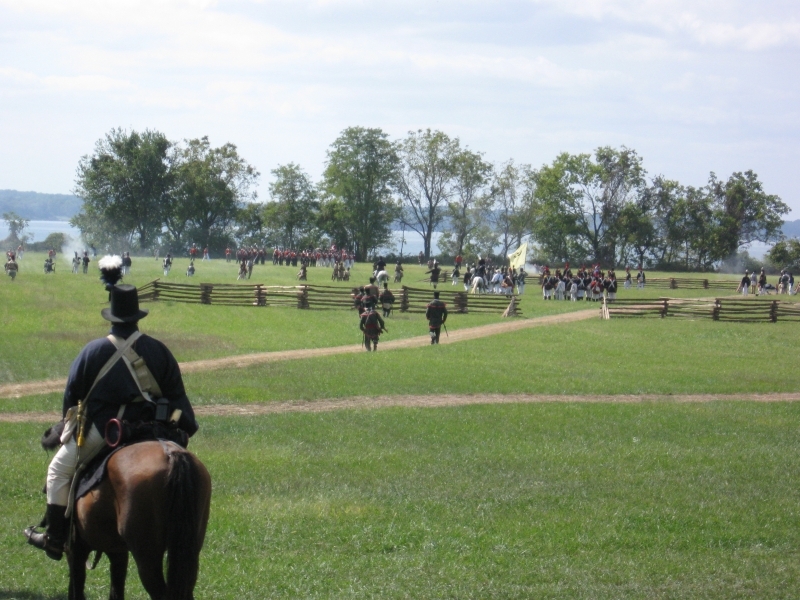 With muskets loaded and bayonets fixed they would join the cutlass and pike armed sailors to create a bristling “porcupine” defense against on coming enemy boarders. Regulations indicate that in a boarding assault the Marines should remain aboard their vessel to act as the reactionary force in the case their sailors’ boarding attempt failed and got driven back. It seems that Marines were considered too important to their ship to take part in a boarding. However, some actual records from the era demonstrate the opposite. Lieutenant William Bush, commanding the USS Constitution’s Marine guard was killed while anticipating the leading of a boarding party. Also, Lt. Thomas Legge wrote a letter to the Commandant describing how the British made muskets were much better suited for Marines during boarding’s. Yet it is unclear whose boarding’s Lt. Legge was referring to. So it may be that the Marines, though not a part of the initial boarding party, did in fact take part in boarding’s, or at the very least, envisioned themselves leading the way. Once an enemy ship was secured Marines were often detailed to the enemy ship as a part of a prize crew to provide some small arms protection for the newly acquired vessel. Marines often found themselves above the sealed hatches that restrained enemy prisoners to maintain security and prevent, by their presence, any attempt of the prisoners to reverse their fortunes.